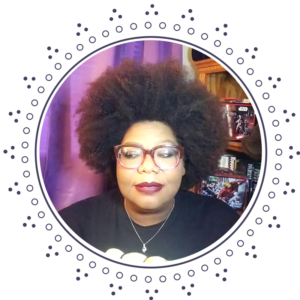 Here we are again for the Five Fandom Friday link up! I must say I am enjoying these little trips every week. Let’s get right to the chase, shall we? Here they are in no particular order. How much fun would it be to be a pirate (in the movie world, of course, forget the killing and the shooting and the scurvy and terrible food). I loved the Pirate movies and remember the ride as a child at Disney World. The long coat, the beads and shoot, there’s even a purse! What’s not to like about this? Just because… Aaliyah. What an awesome costume. Nuff said. All I would need is to add a pair of goggles and an umbrella! Yeah, so maybe she’s a little too gung-ho about plants and the environment, but a grrl’s gotta have a hobby right? And you can never have too many plants or loads of gorgeous red hair. She was the best thing about the Kill Bill movies….all of them. You can beg better than that! Thanks for reading! I had a great time picking out my virtual costumes. I definitely second Captain Jack and Steampunk Victorian! Why’d you only list 4 though? Kacie, thanks for catching that. Talk about a super flake out. My last one is Poison Ivy! Nice list! I love that it’s a mix of different types of characters! I actually had to think a bit to whittle it down, but I really had fun coming up with them. Oh, the Captain Jack one would be sweet! Skye recently posted…Karate Girl: In which a girl is karate chopped back to life! Steampunk Victorian! What a great idea! I love that look – like Evie from The Mummy and Mina Harker from League of Extraordinary Gentleman. Gotta get me a set of goggles! Akasha!! I’ve wanted to make that headdress for years!! That headdress and her hairdos in the movie – wow, what great designs, truly. Love your picks! I have to say though, there was a lot I like visually about the Tim Burton Batman and Robin movies, but I NEVER understood the weird hair cones they gave Poison Ivy. awkward! Great list! Ah Johnny Depp 🙂 My friend did a really cool Poison Ivy for carnival one year and I went as the Joker, you can’t beat a good villain costume for Halloween. Love them all. Akasha and Go Go are my faves from this list. Funny story, I’ve been Go-Go Yubari once…and then I changed into Haruhi Suzumiya! But Akasha!?!?! That would be such a bad-a costume!!! Joie Fatale recently posted…Fandom 5 Friday: This is Halloween–Nerd Style!